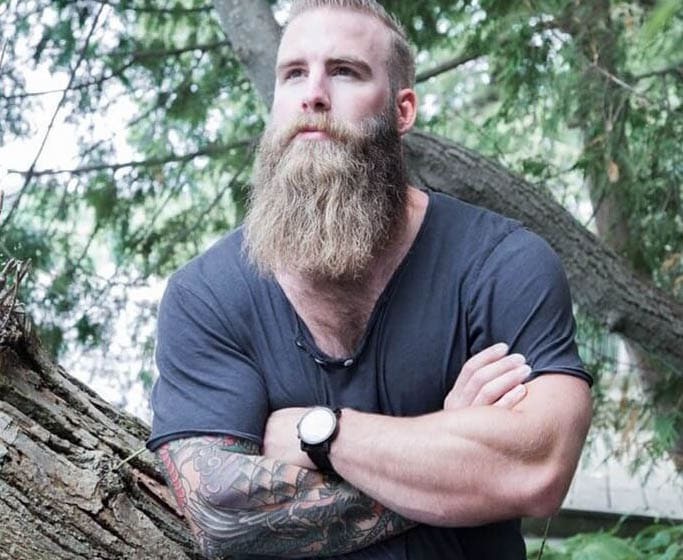 Having a full-grown thick beard is now considered as a symbolic representation of a manhood. 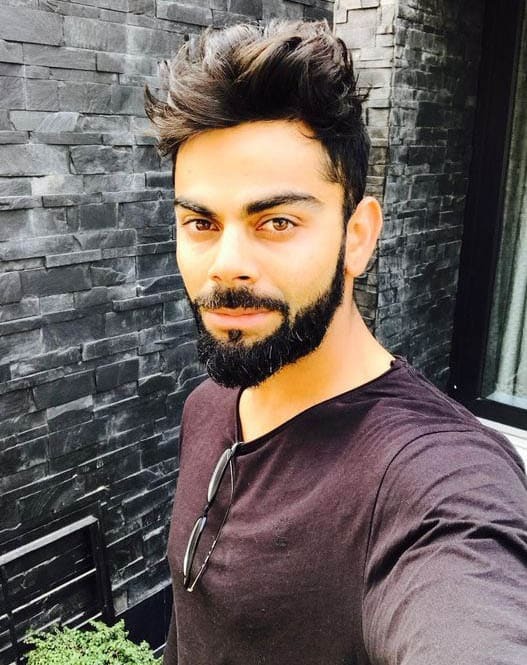 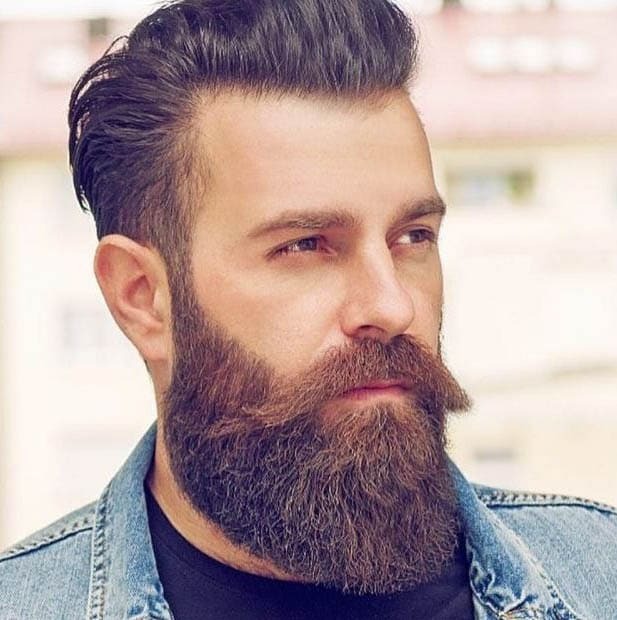 It is a matter of fact that with wearing beard has always been in fashion since ages, at times it is worn in the name of religion and at times keeping beard depicts exquisite fashion sense. 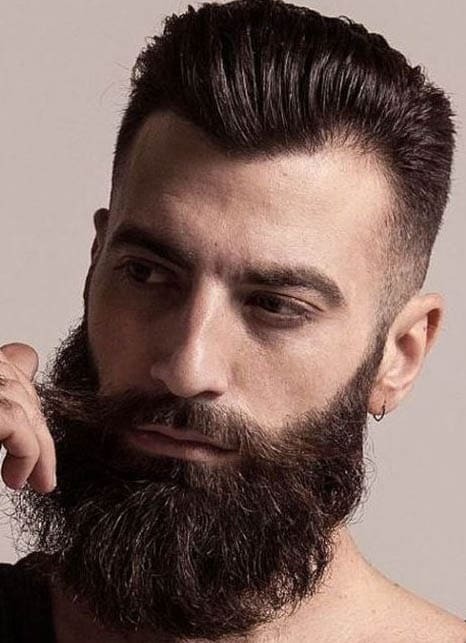 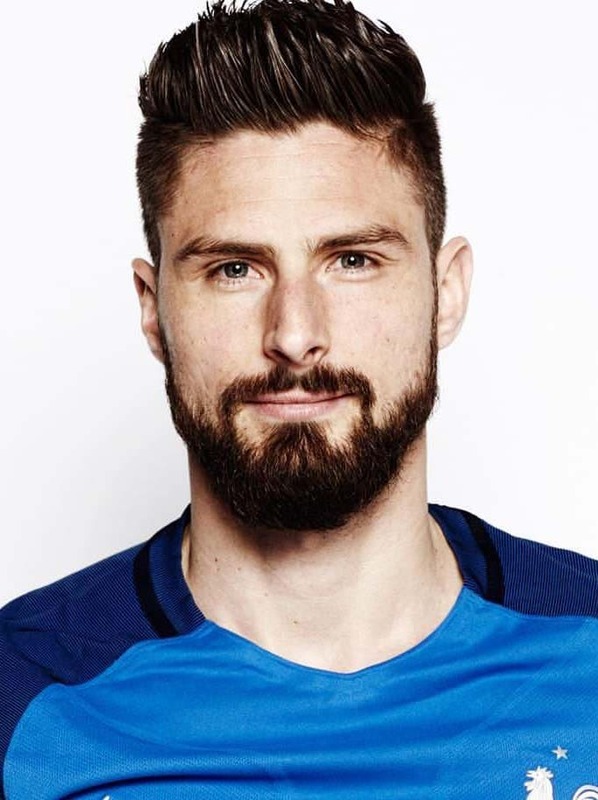 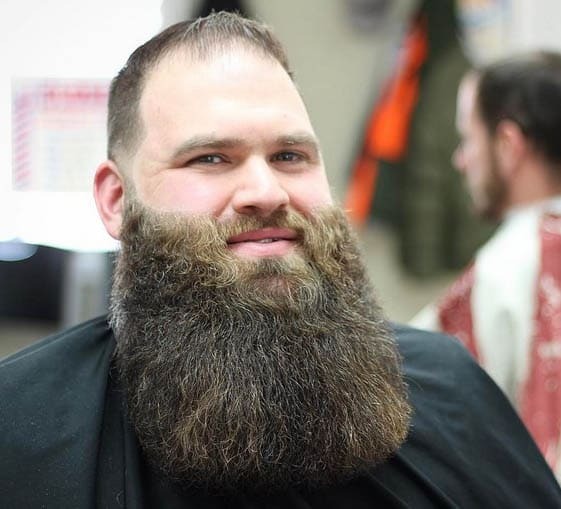 Long full beard is the trends that come and go throughout the year and also depends upon the climatic changes, however, there are few people who craved for long beard and live in a dream to get a full beard in order to transform their attire according to their wishes and yearn. 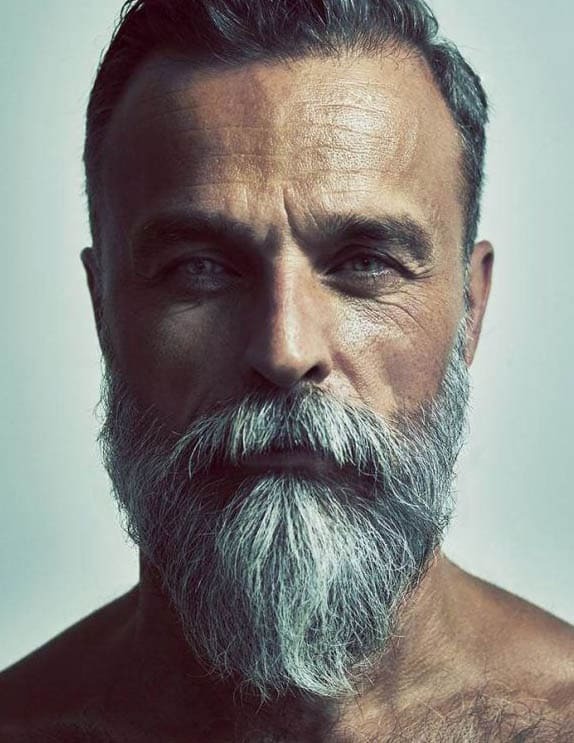 Most people wear the full beard because of the variety it offers the charisma that replenishes your personality with allure and glamour. 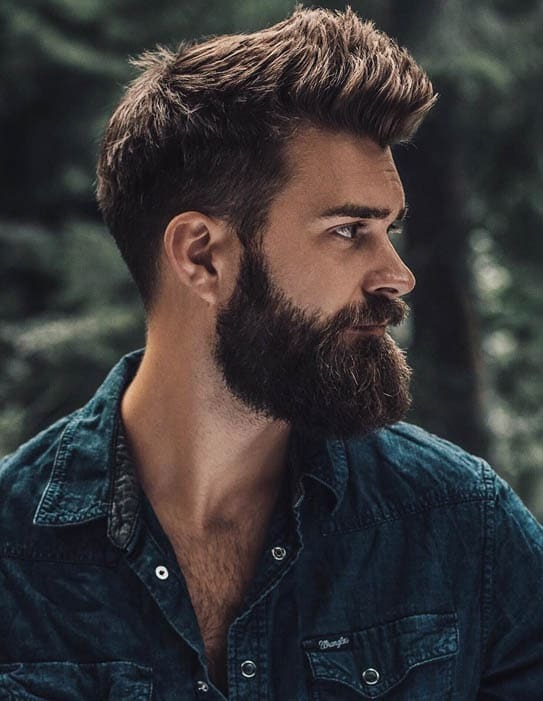 Full beard doesn’t mean that you will let it grow wild and untamed, on the other hand, it is something you need to grow with passion and take well care of it. 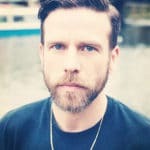 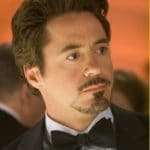 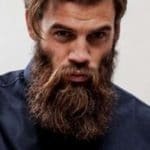 Here we will help you to find out different full beard style, you need to find out which one will suit you most to spiff up your personality. 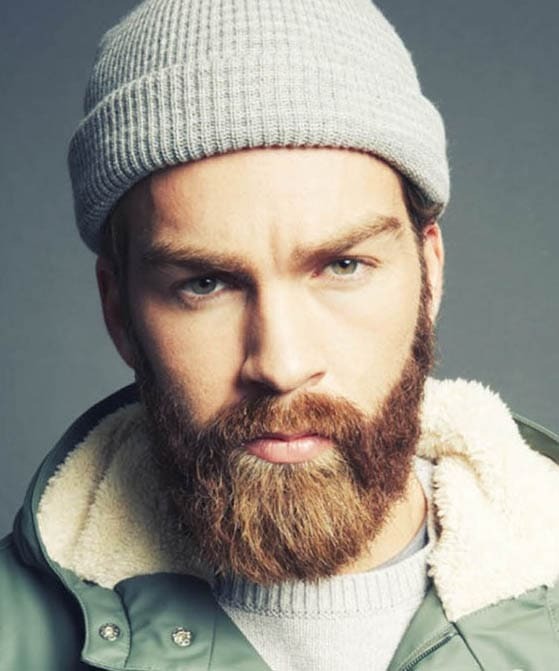 If you are too lazy to spend time on maintenance and still want to have ferocious look then here is an easy way out. 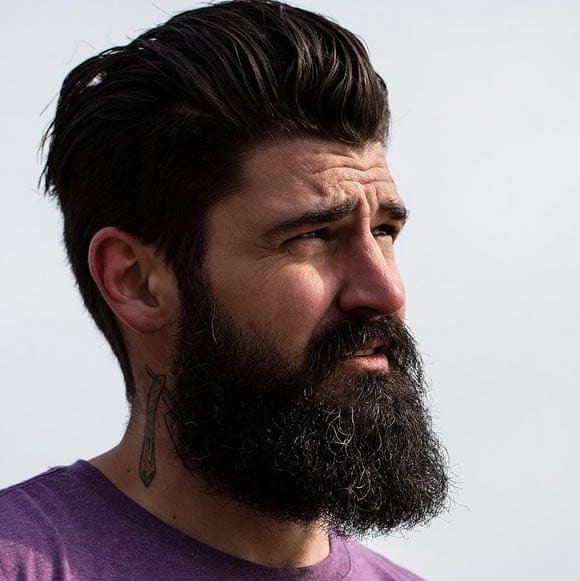 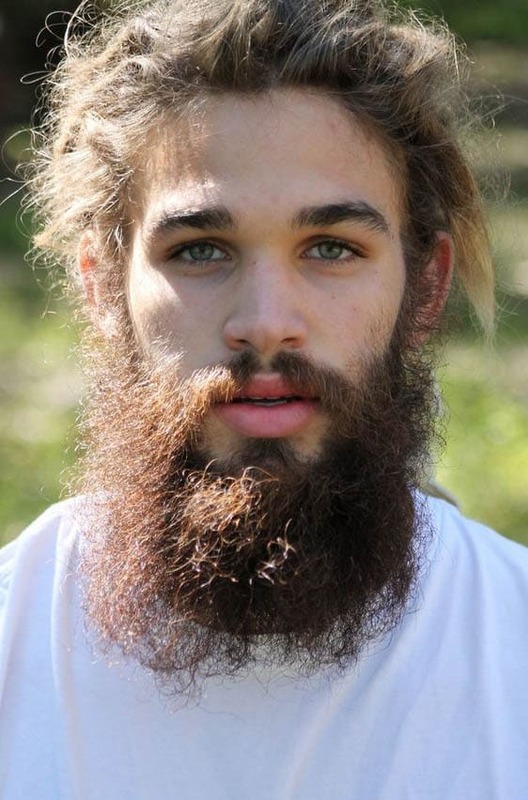 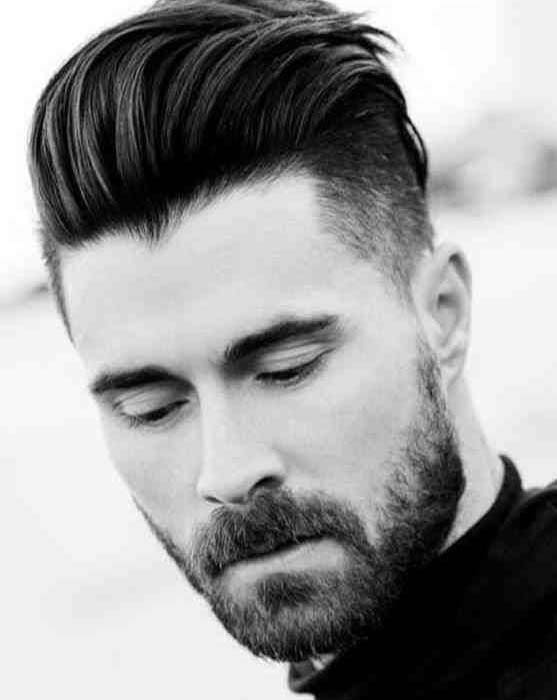 This Long Beard Style doesn’t require too much work and you just need to let it grow as much as you want. 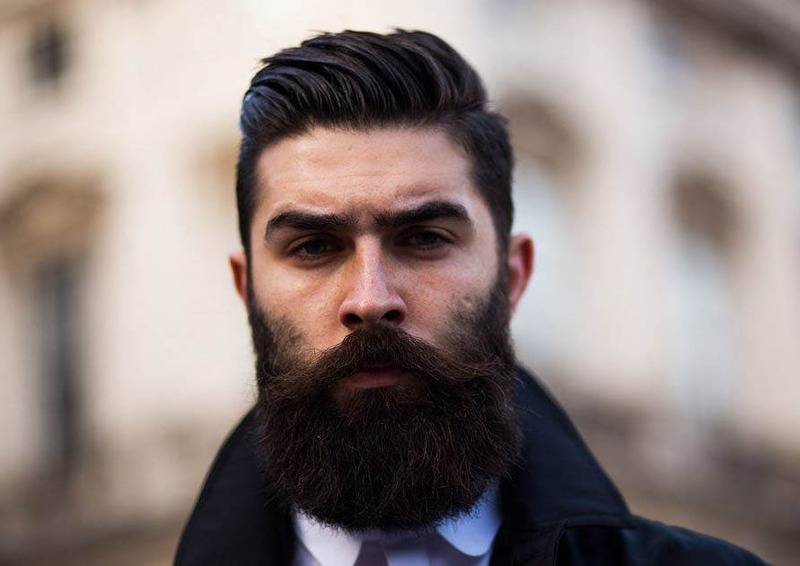 You need to eat healthily and a balanced diet in order to have quick and growth of your facial beard. 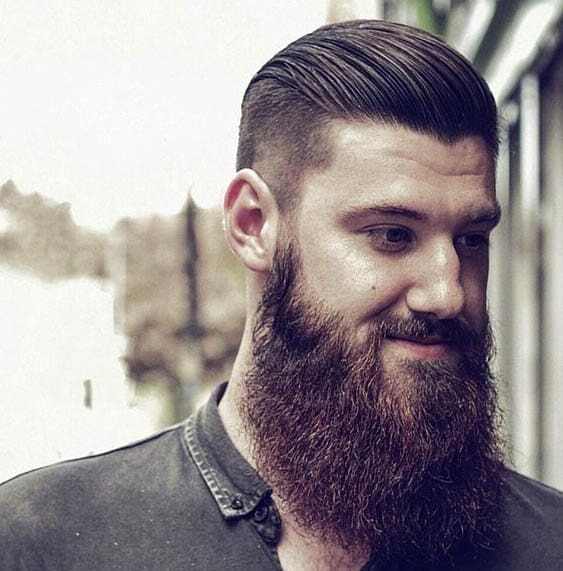 Wearing Ginger Beard is something different from having black and brown beard styles. 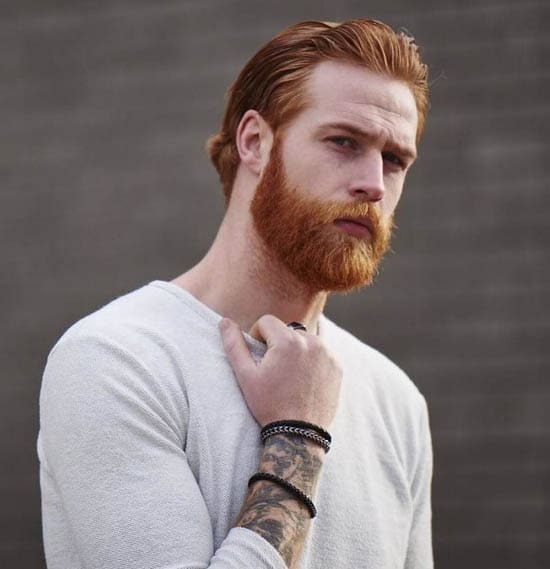 If you are lucky enough to have ginger facial hair then you should wear it proudly because you can style your personality in a unique way. 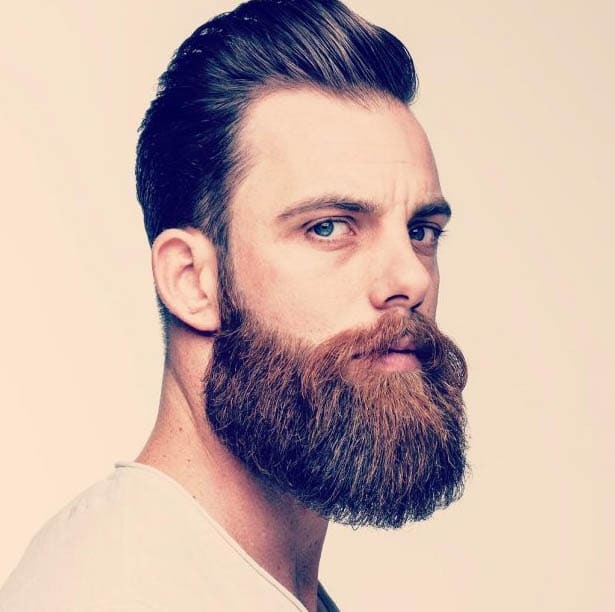 Growing a full ginger beard with a shaped moustache is one of the most appealing ginger beard styles. 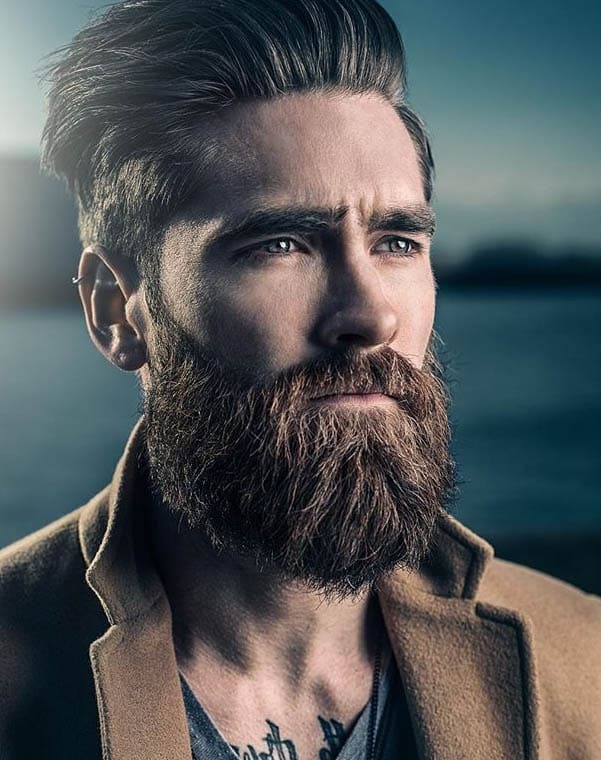 Shaped moustache with Ginger Beard is a perfect combination if you have strawberry blonde, copper red coloured facial hair. 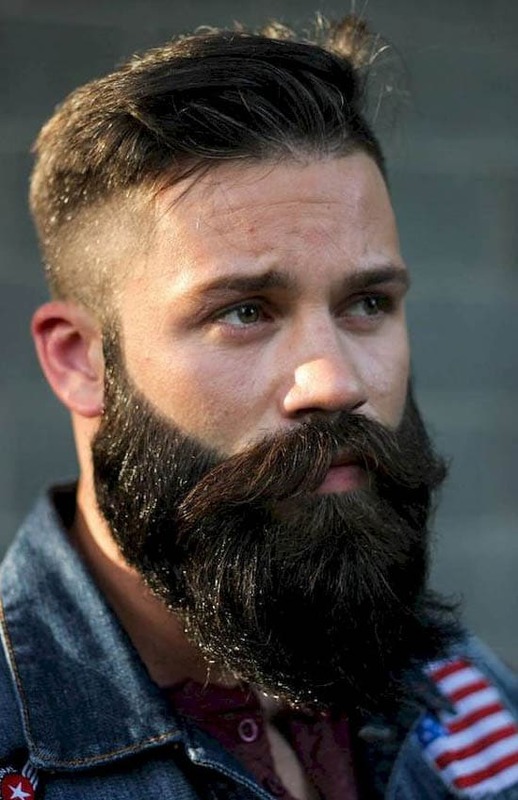 A Balbo Beard is one of the most exclusive beard styles which is a definite entity for a macho man. 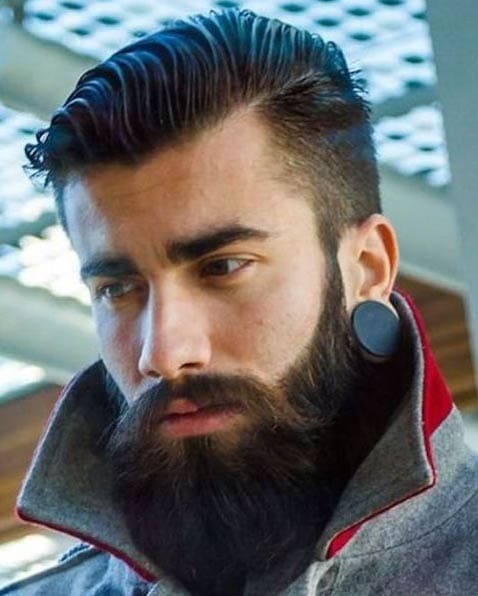 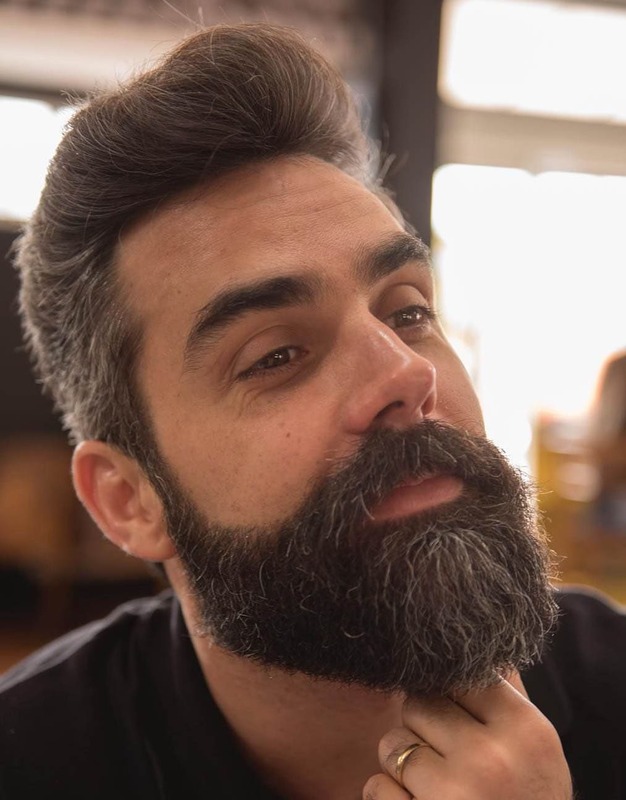 This is a unique beard style without sideburns and a floating moustache. 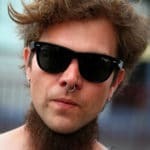 It is a very much alike box beard style. 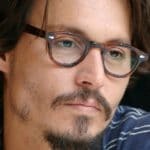 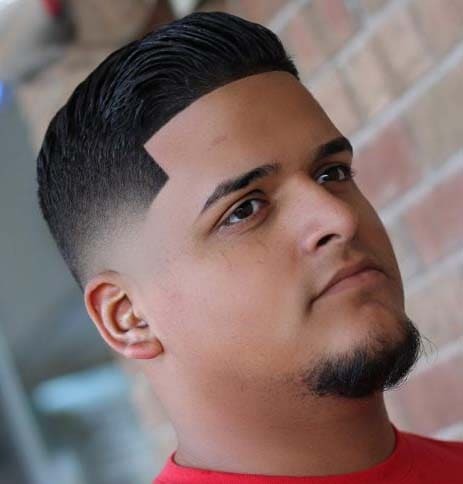 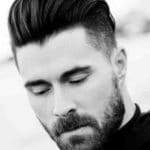 You need little professional hands to attain this kind of facial hairstyle because it needs very keen and cautious trimming. 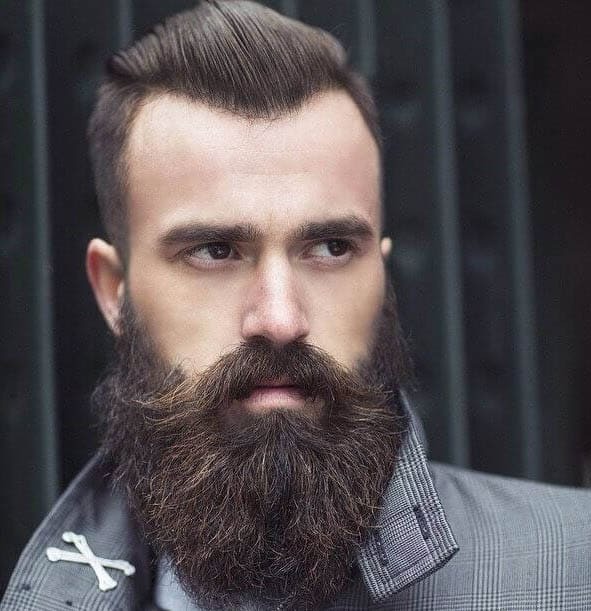 This Stylish Box Beard Full Length is an amazing replacement for those who want to wear a full beard but in a stylish manner. 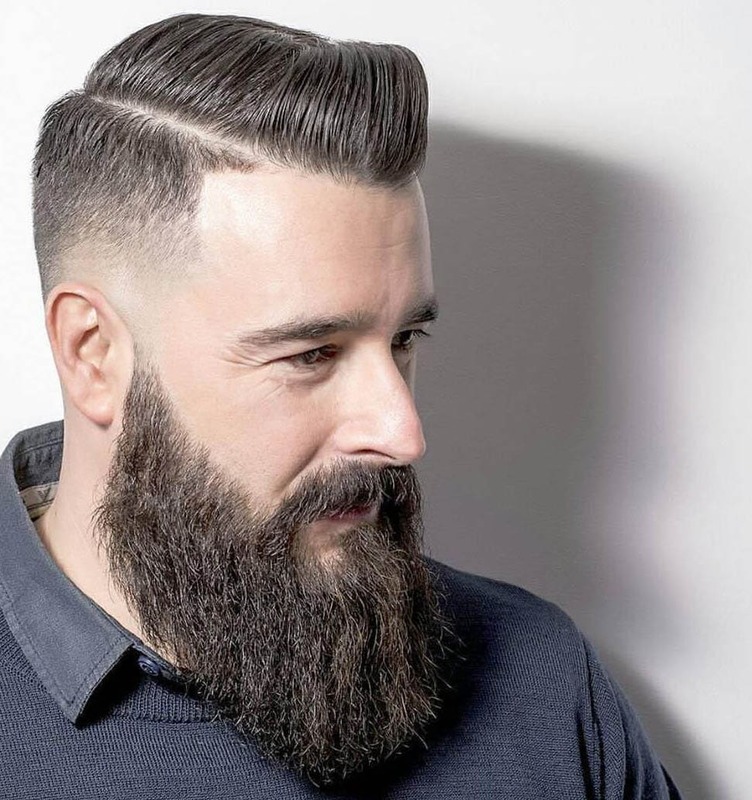 By wearing this beard styled you will enjoy the full beard style in a different way. 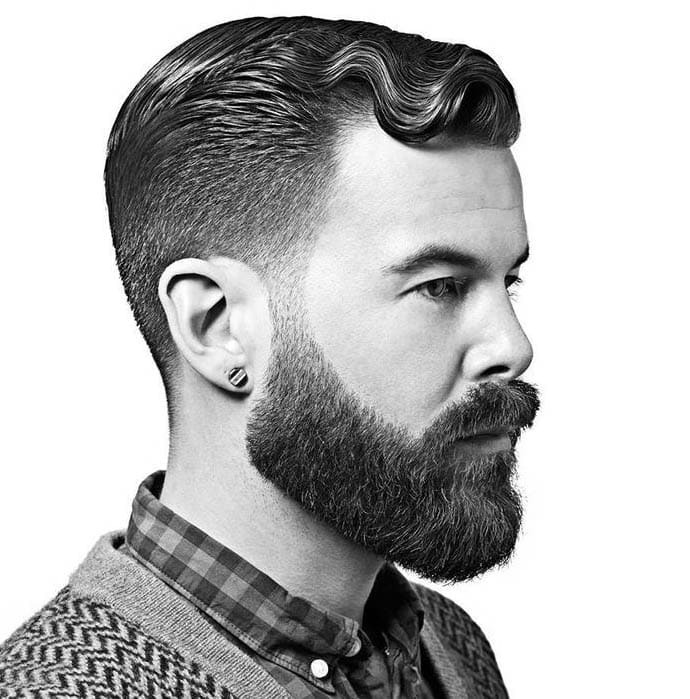 This will give you a neat and clean look yet perfect manly look. 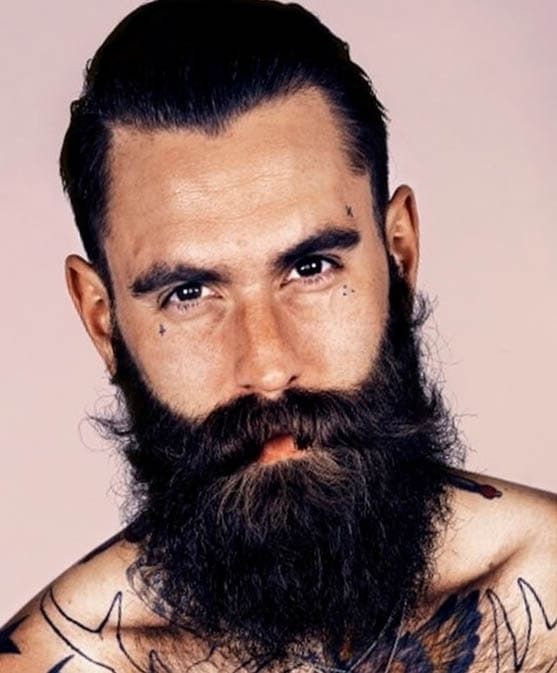 Boxed Beard is neatly cropped, and well-groomed which compliments many hairstyles and almost all occasions. 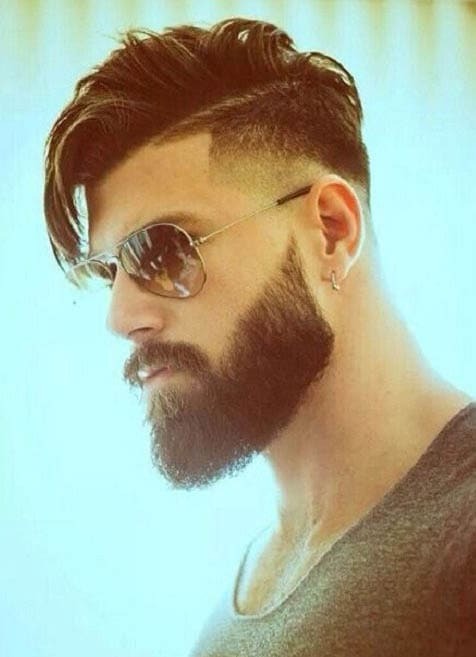 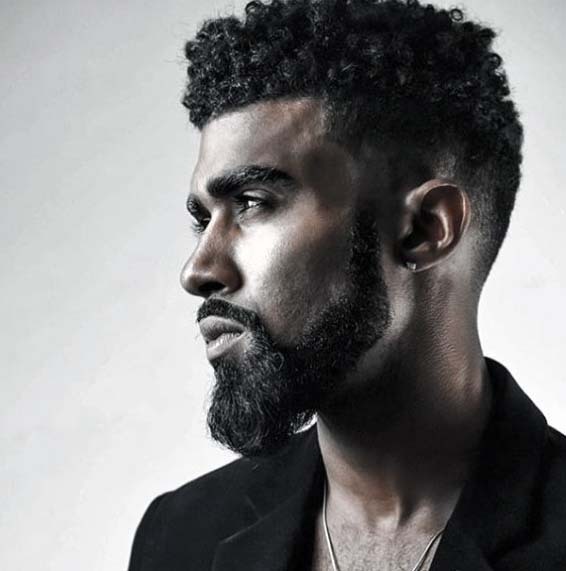 The Arabian Full beard with a delineate line is a perfect example of full beard styles. 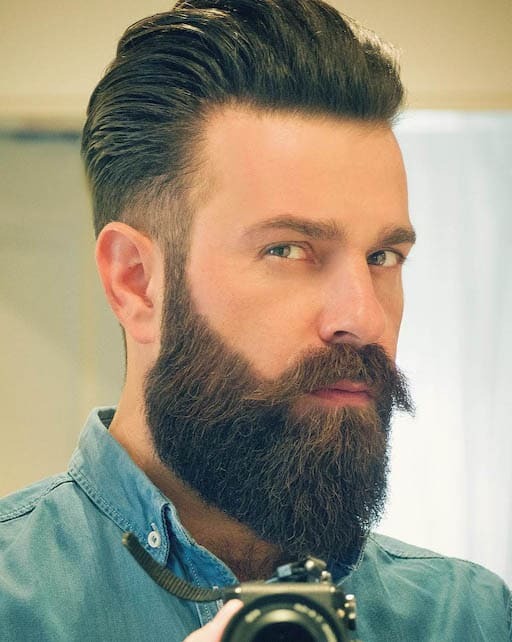 There are many variants to wear Arabian Full Beard styles, but the most common is one in which one has to grow a full beard and keep trimming in order to keep it in shape and style. 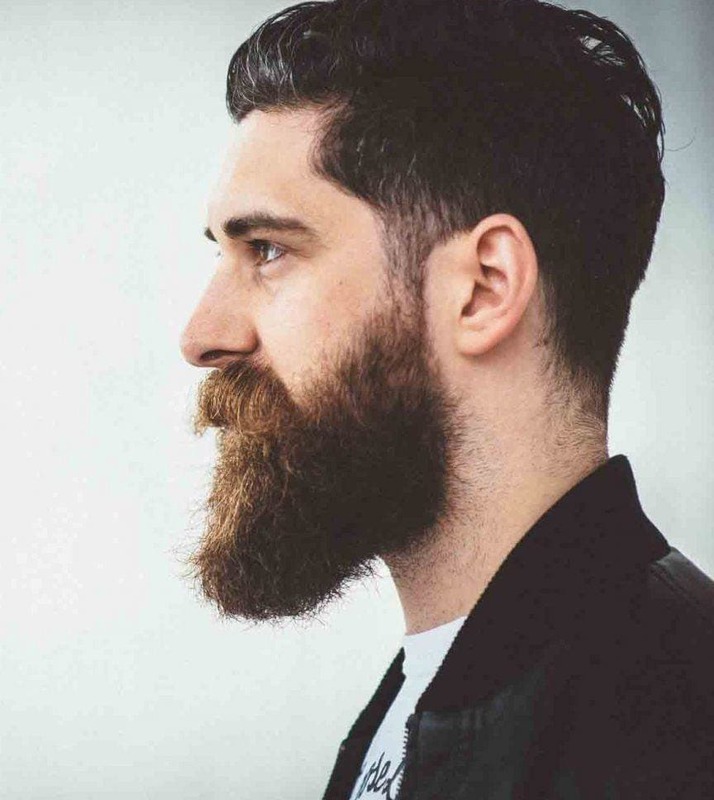 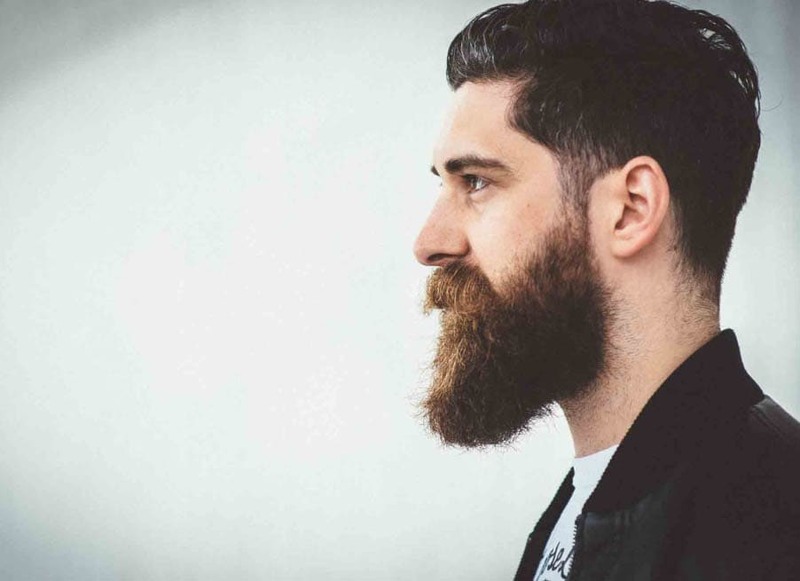 It is one of the simplest beard styles to grow and maintain. 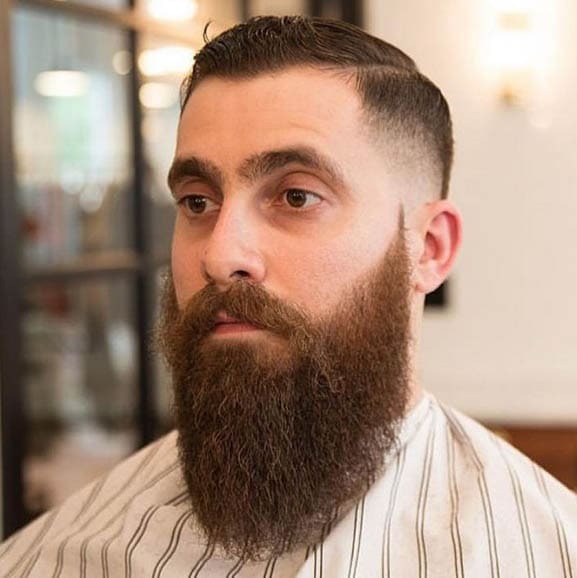 All you need a regular trimming for an organized look.